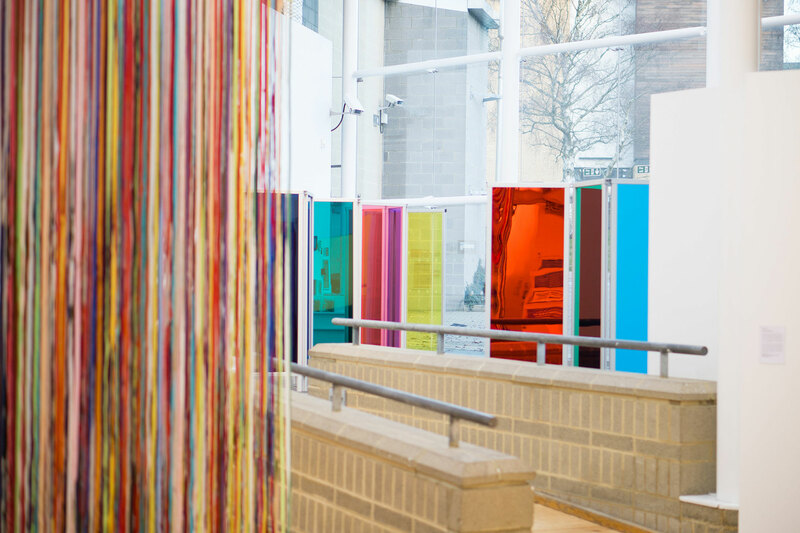 In January UHArts presented Colour Snap, an exhibition exploring the endless ways in which colour shapes our world. Encompassing installation, moving image, painting and textile work, this group exhibition brought together five national and international artists to investigate their playful approaches to colour. 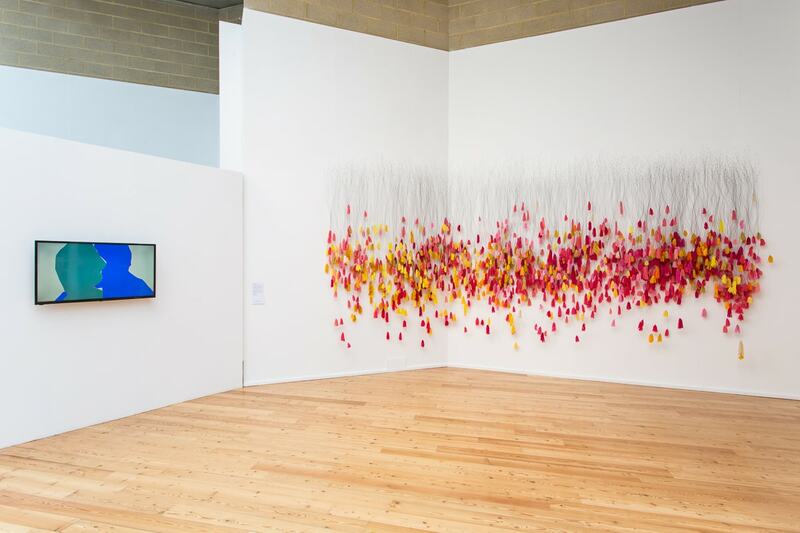 With work by Rhys Coren, Jacob Dahlgren, Anna Mac, Anna Ray and Liz West, the exhibition encouraged physical, emotional and personal responses to colour. Visitors to the opening of Colour Snap were welcomed by the striking Colours walkabout act. With their vibrant costumes and playful installations, they were an eye-catching accompaniment to the exhibition.